Home / Reviews / Kids / Snoozie Mats from Sleeping Baby! Snoozie Mats from Sleeping Baby! There are so many times I wish we had a special place to have the kids lay down when we are out an about. If we are at a relatives house or visiting some friends there is always the occasion when we have to rush home because one of the kids are tired and they just need to lay down. Even better one of the kids will fall asleeep and we are out somewhere with no where to lay them down, with The SnoozieMat we don’t have that problem anymore. The SnooZieMat is a cute and clever solution for any sleepy time away from home! Ideal for school naps, sleep-overs, and blanket forts. Once you’re done snoozing, roll it up and take it with you! Major bonus: it’s machine washable! Pillow is also removable for easy washing. They measure 48″x24″ and it rolls very nicely into a 12″x16″ backpack and are made with 100% poly fabric and fill. They are so adorable as well, and the kids love them. You can lay them out at their school if they have nap time, take them camping and even use them as the blankets and bedspread for their big girl or big boy bed! I simply love them. They come in Pearl The Mermaid, Timmy the Tortoise, Choo Choo The Train, and Parker The Princess, I am sure one would be just perfect for your little one. 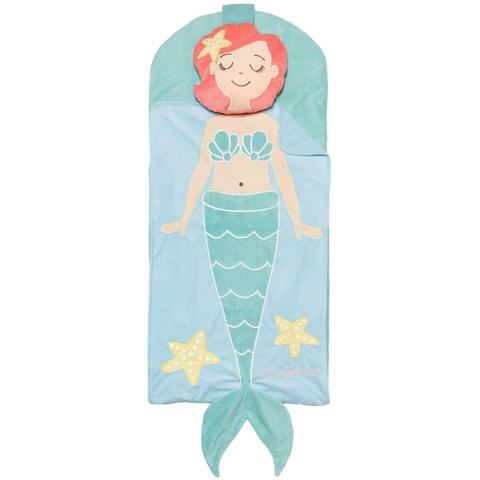 Check out all of the great sleeping products they have at Sleeping Baby Productions for your kids and I am sure you will find a solution to any sleeping issue you may have. Check out their website here! This mat would be perfect for my grandson when he is out on the boat this summer. I love they way it folds up into a small travel bag! My kid would love this! So Cute!! Mother's Day Grand Prize Giveaway - Here We Go Again...Ready?